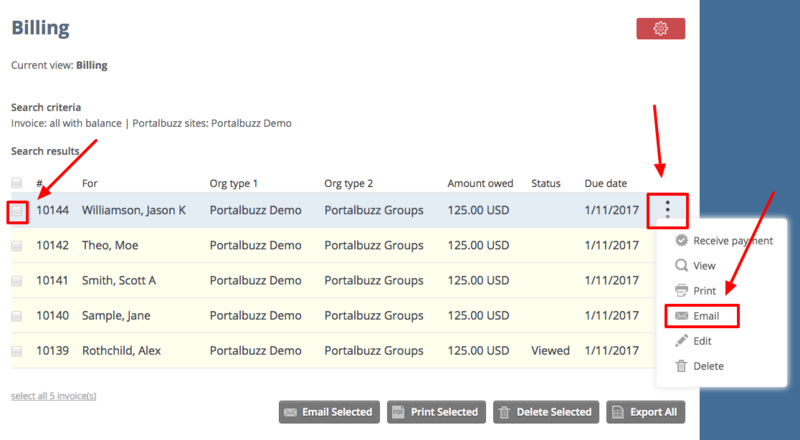 Administrators have the option to resend the invoice(s) to their members through the Portalbuzz email function. Just follow these simple steps. 3. 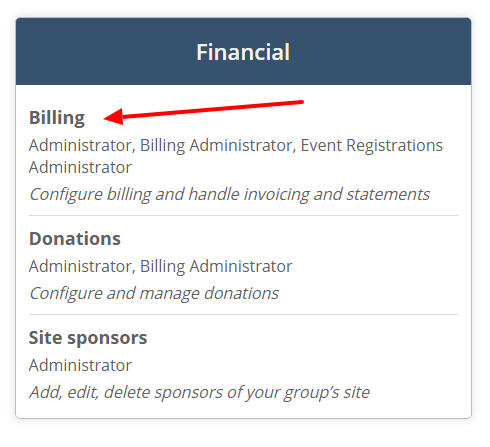 In the Billing module section, locate the invoice that you need to resend and click the checkbox to the left of the name. Then over to the right click the down button and select the Email option. A pop-up window opens. 4. Click Yes. This will send the invoice.